, an eminent civilian, historian, and critic, was born at Hamburgh in 1613. 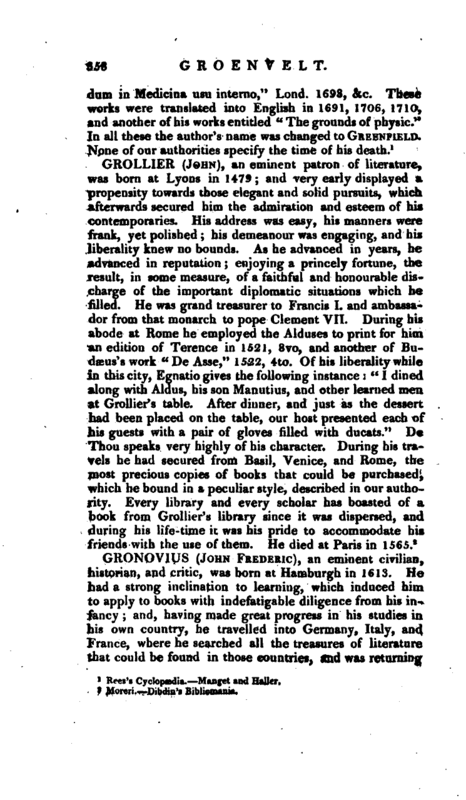 He had a strong inclination to learning, which induced him to apply to books with indefatigable diligence from his infancy; and, having made great progress in his studies in his own country, he travelled into Germany, Italy, and France, where he searched all the treasures of literature that could be found in those countries, and was returning | fcome by the way of the United Provinces, when he was stopt at Deventer in the province of Over-Issel, and there made professor of polite learning. After acquiring great reputation in this chair, he was promoted to that of Leyden in 1658, vacant by the death of Daniel Heinsius. He died at Leyden in 1672, much regretted. 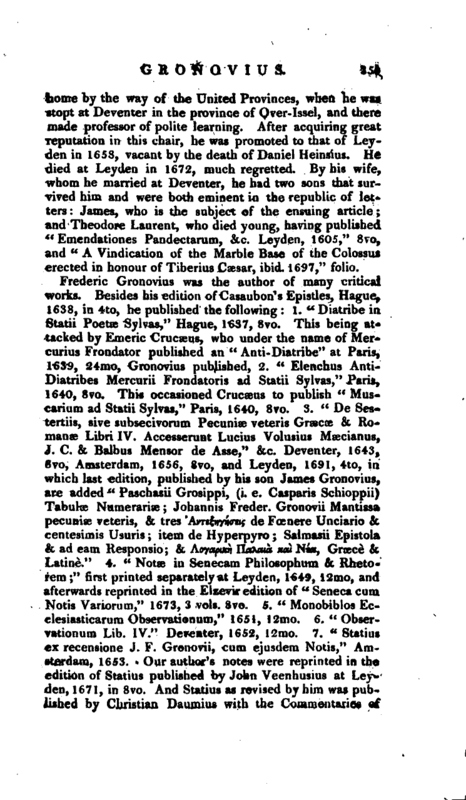 By his wife, whom he married at Deventer, he had two sons that survived him and were both eminent in the republic of letters: James, who is the subject of the ensuing article; and Theodore Laurent, who died young, having published -“Emendationes Pandectarum, &c. Leyden, 1605,” 8vo, and “A Vindication of the Marble Base of the Colossus erected in honour of Tiberius Caesar, ibid. 1697,” folio. 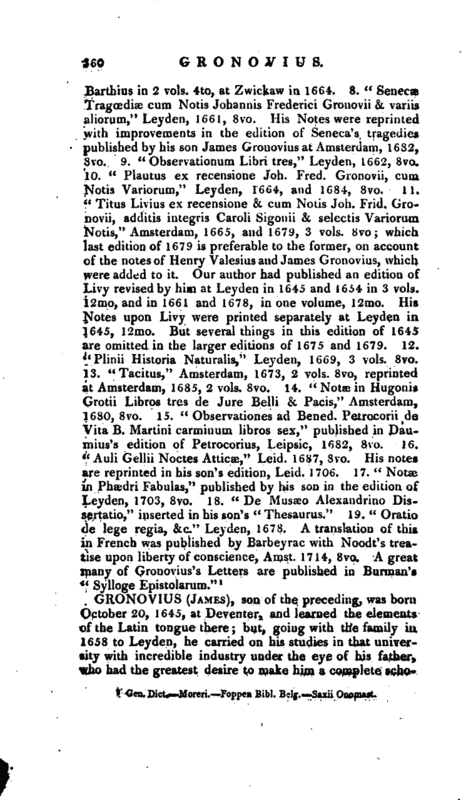 Gen. Dict.—Moreri.—Foppen Bibl. Belg.—Saxii Onomast.